So you haven't opened your pool yet! You’re ready to take a dive into your pool it's a major part of enjoying the warm weather. 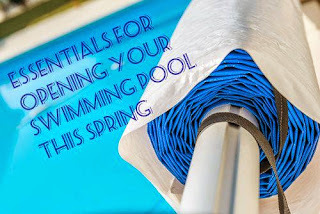 If you’ve properly maintained your pool in the off season, then opening your pool in spring should be simple. Still, opening your swimming pool takes a lot of work; even if you have maintained it and even more if you haven't. But by taking the right steps, you’ll save time and money. You just have to do the basics to prepare your pool properly for use. Hire an expert to open your pool. If you are not comfortable with any of the following procedures, please consult a pool professional before any work is completed. Opening your pool for the spring season takes more than just removing the cover and cleaning the water. You’ll need to take to right precautions with regards to the safety and chemical components of your pool as well.